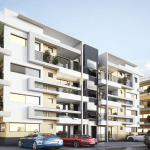 The Fairmont Apartments is a stylish and modern estate located in Lekki-Ajah. It is a beautiful blend of architectural and functional spaces designed to create an enviable environment for quality living. A carefully planned private community with extensive walkways amidst modern infrastructure. Imagine waking up surrounded by nature, spending time outdoors in a beautiful living environment with lush greenery, a big estate park and fragrant flowers. Nesteled amidst great recreational facilities and exceptional infrastructure such as Paved roads, Gymnasium, Street Lights, Pedestrian Boulevard, etc. 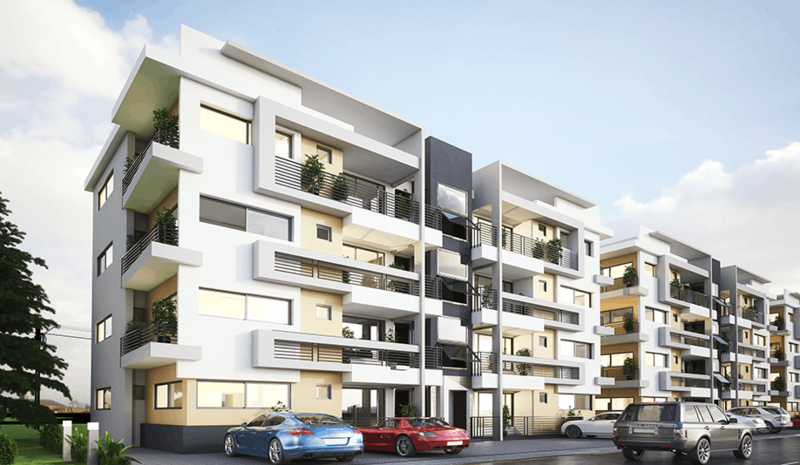 What is the Fairmont Apartments: It is a 3-bedroom all rooms en-suite apartment with a beautiful blend of architectural and functional spaces designed to create an enviable environment for quality living. Imagine spending time outdoors in a beautiful community with luscious green grass, big estate parks, fragrant flowers and pretty features. It is located behind Novare Mall, Shoprite.